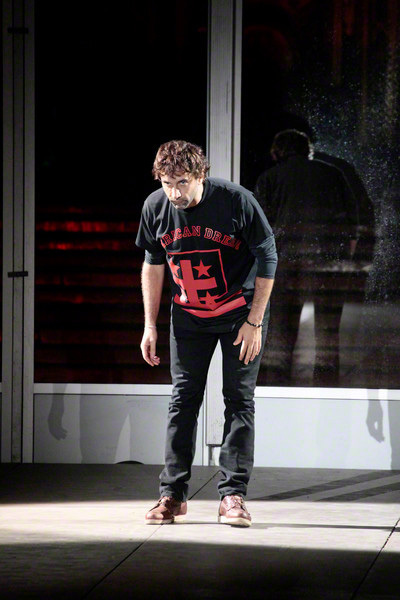 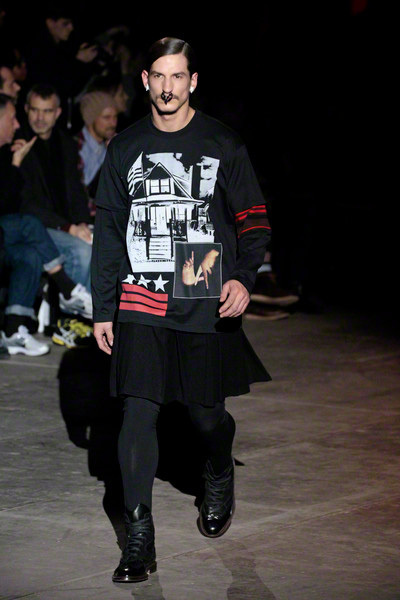 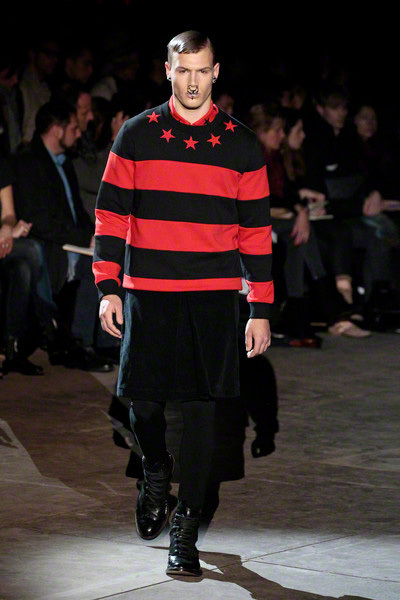 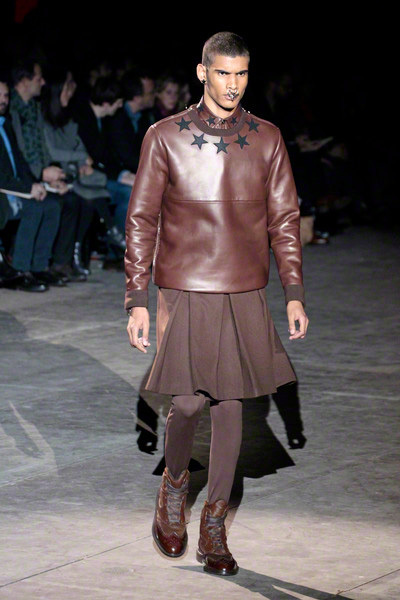 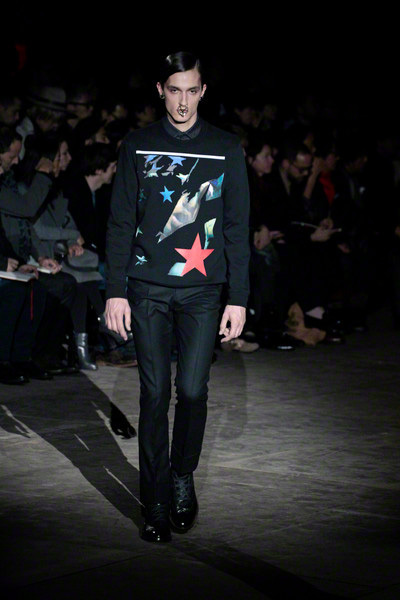 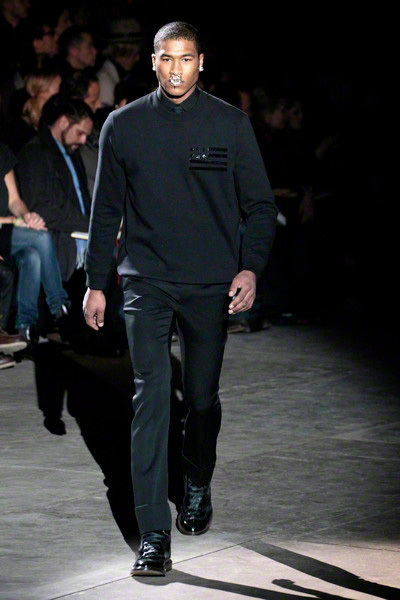 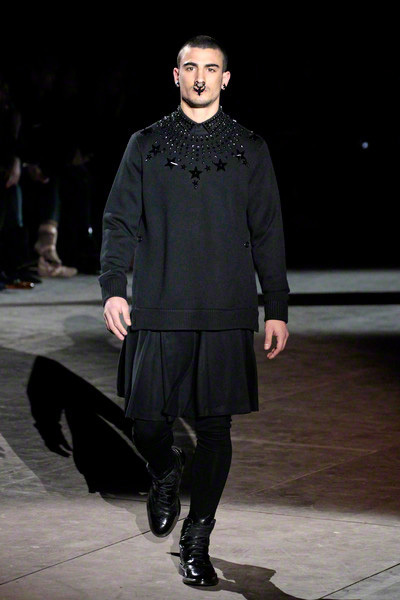 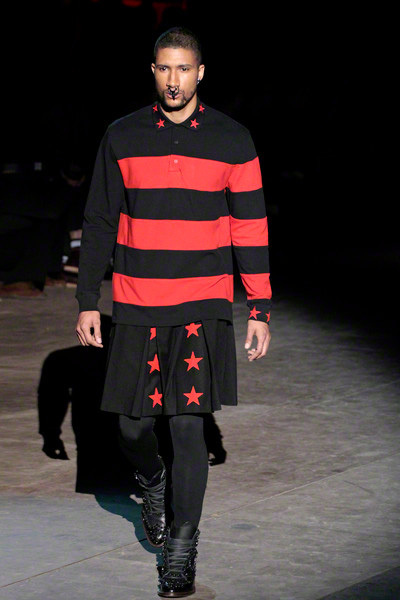 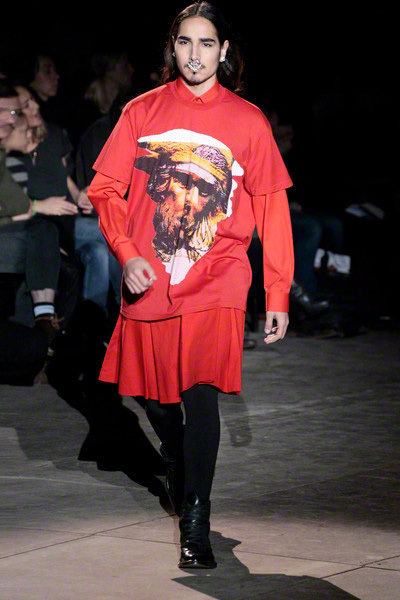 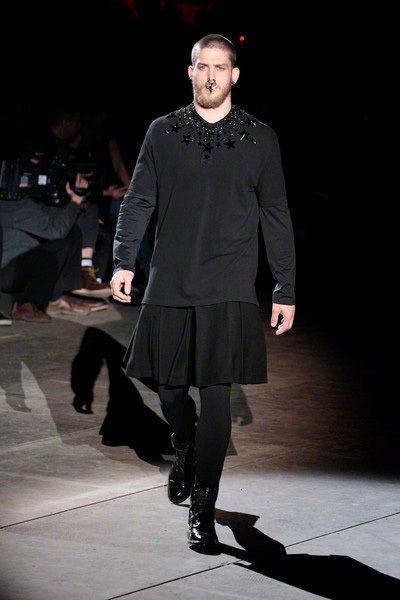 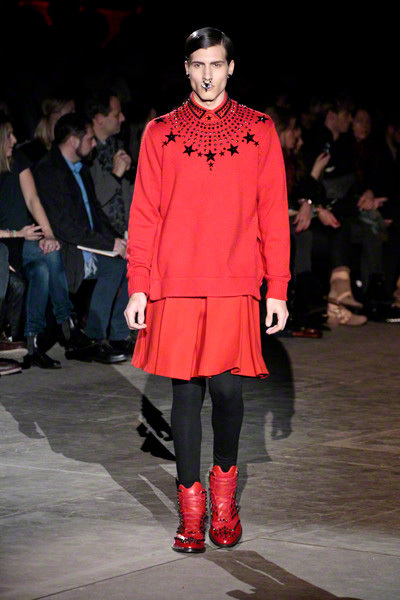 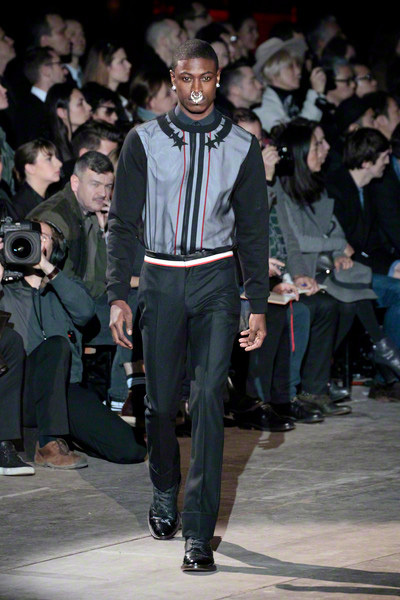 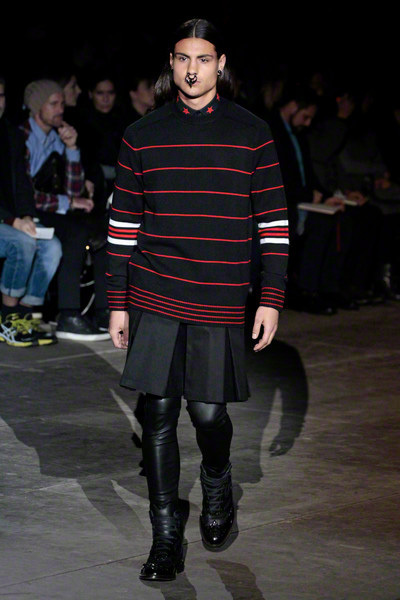 Riccardo Tisci’s fall winter 2012 collection focused again at his signature clothes: sweatshirts, T-shirts, leggings and kilts. 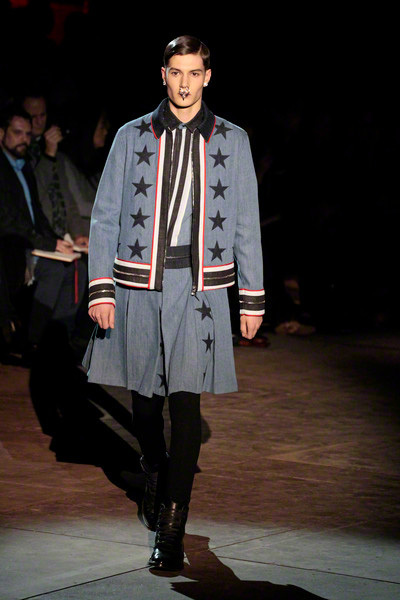 And again prominent prints and graphic elements, like stars and stripes. 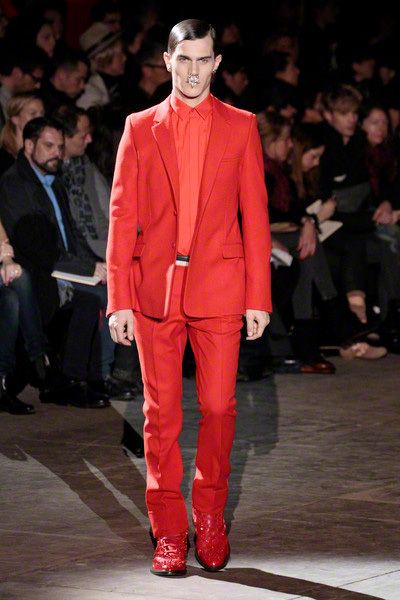 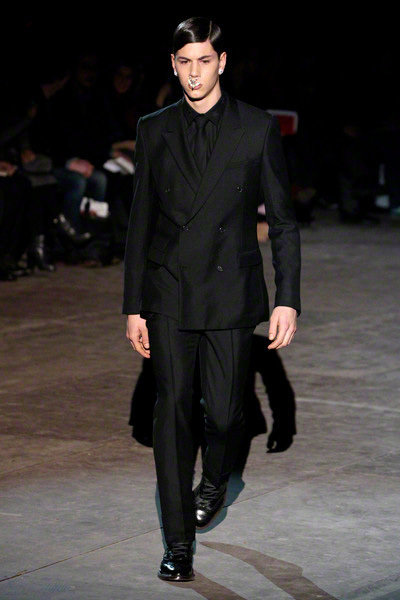 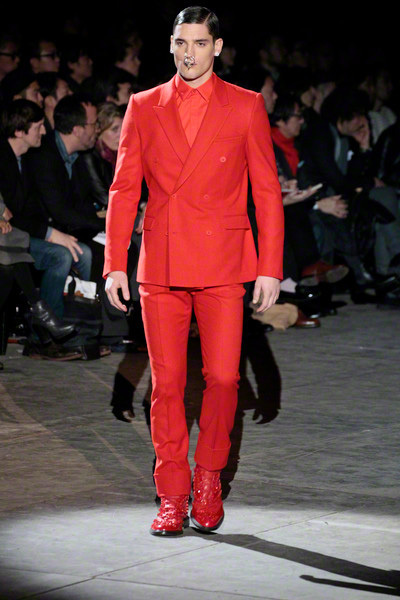 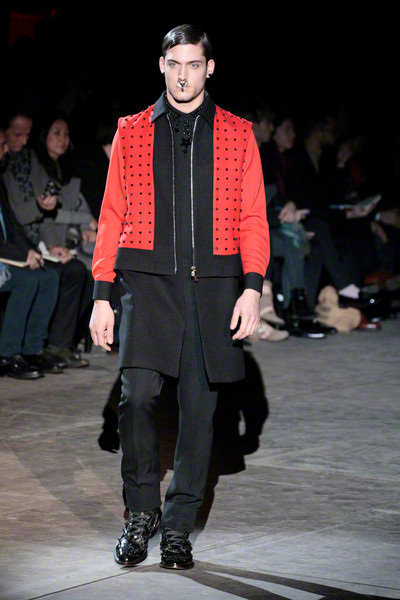 The tailoring was black and red and chic. 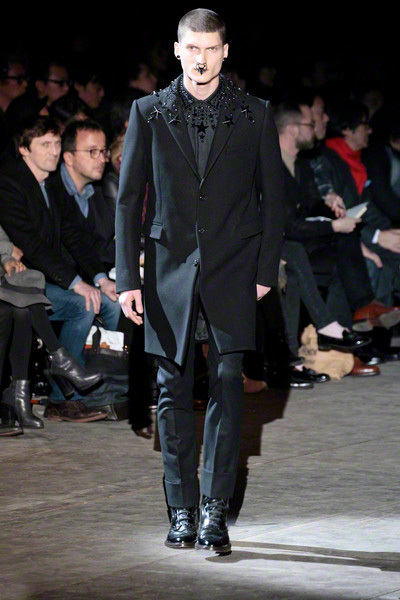 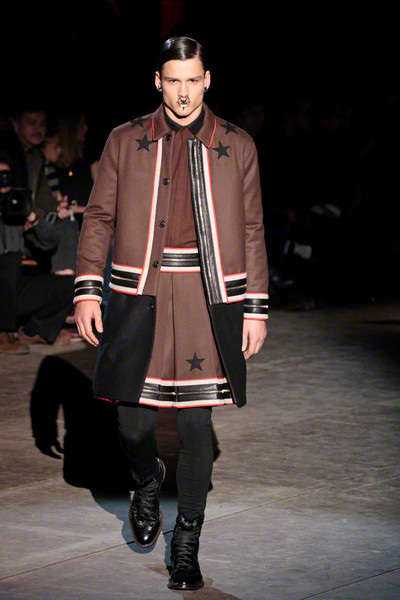 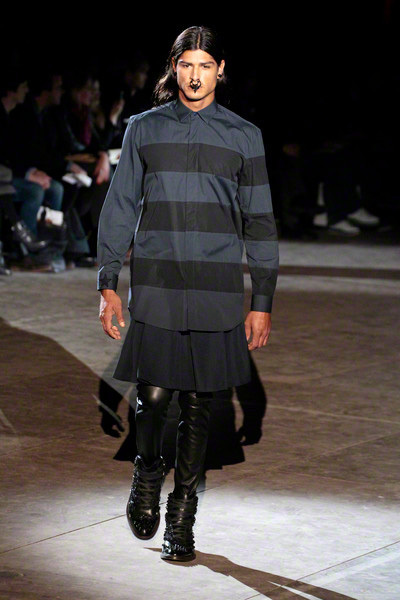 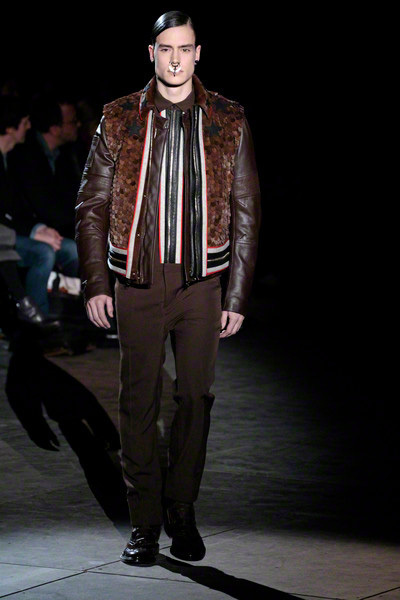 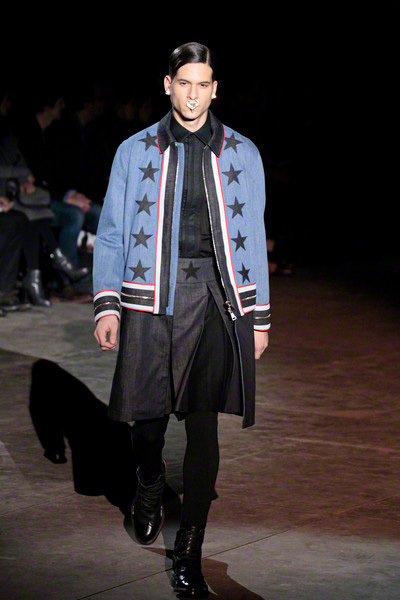 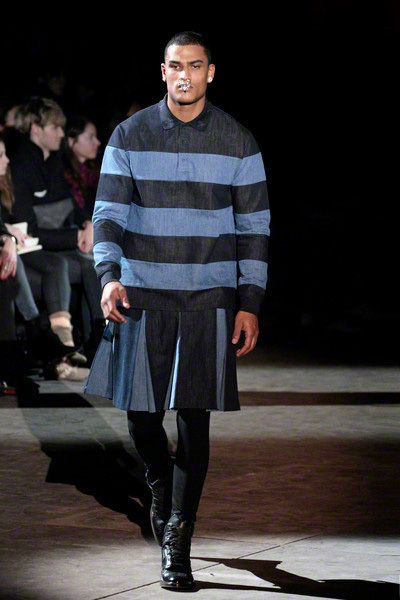 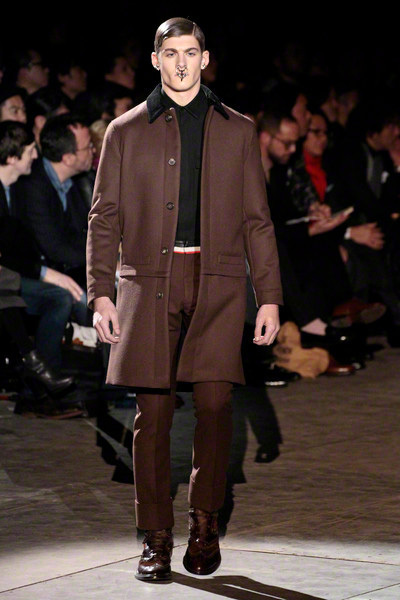 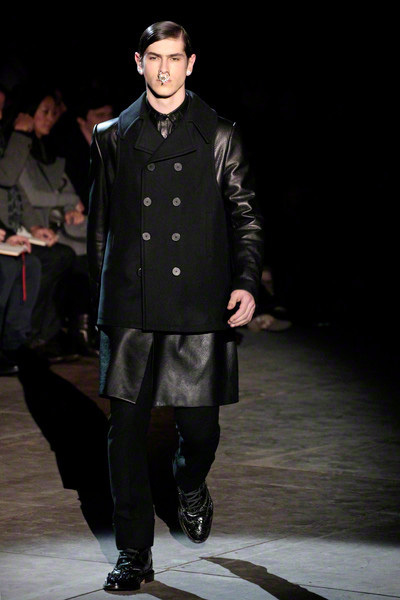 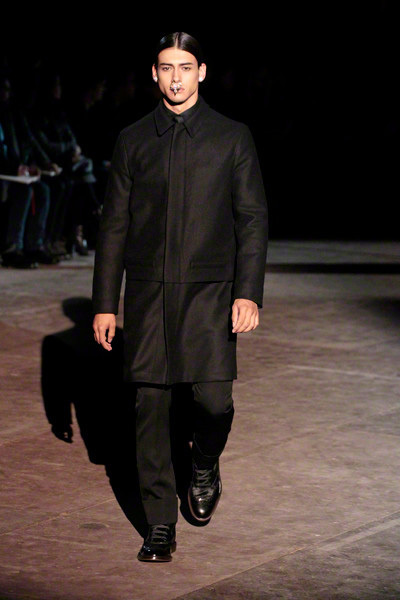 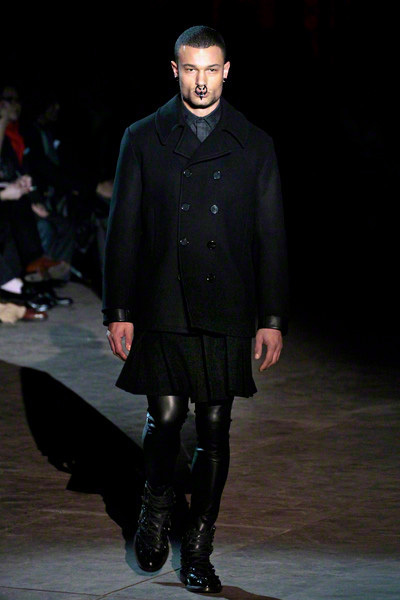 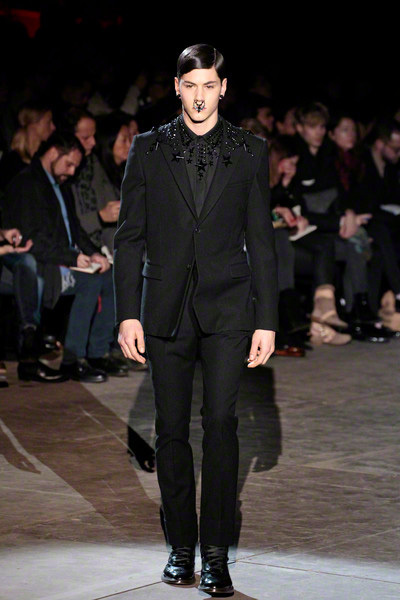 The designer also played with trompe-l’oeil layers, putting pea coat-like vests over leather jackets or wool topcoats. 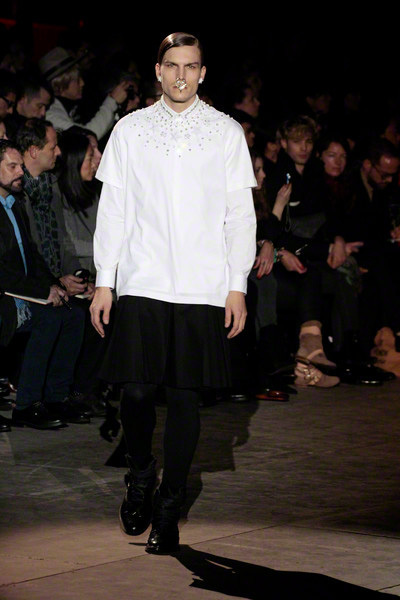 And the show ended with sparkles. 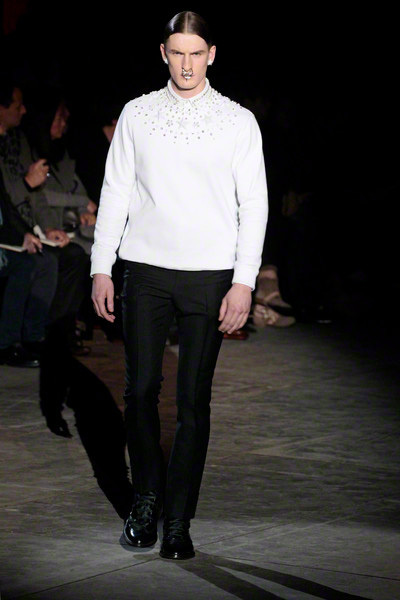 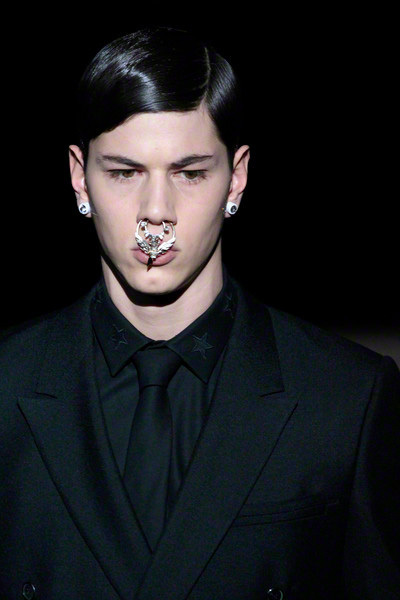 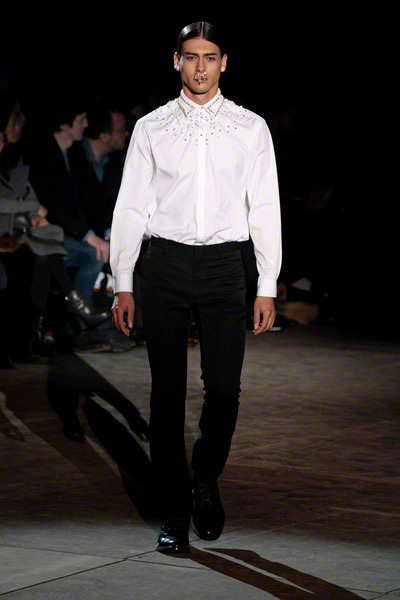 The tops of white shirts twinkled with crystals, while black enamel stars came out over the shoulders of black sweaters.